Sydney-based Mum and Art Director Alex McCarthy wrote to me recently to see if I thought her new stationery designs under the Smallprints label were drool-worthy. The answer is a resounding YES! The Smallprints line of modern stationery for kids are super stylish and an exciting addition to the Aussie stationery scene. The product range includes invitations, baby announcements, contact cards, Christmas cards and thank you cards for events including birthday parties, baptisms/christenings/naming ceremonies, and baby showers. 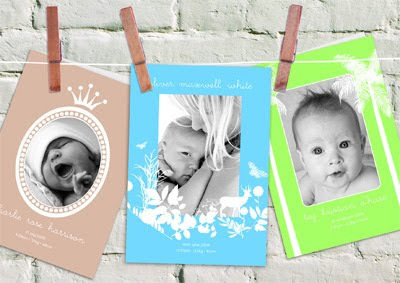 There are both photo and text cards and text-only options available in a whole range of colours. 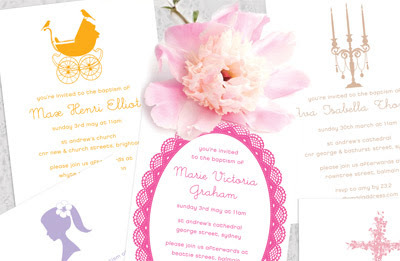 You can find Sydney-based Smallprints products at the online shop where you choose a colour, design and wording and let Alex do all the hard work for you. You can also purchase a gift certificate which would be the perfect baby shower gift. Spread the word. You can also shop online for kids products from great stores in the Australian Online Kids and Baby Store Directory. These are all adorable! Love the unique designs and color combinations, so modern and fun. love the colours - great find! Thanks as always Alison and Deb!